A few months back, our team at Teen Lifeline took an assessment that looked at our motivations. Many assessments focus on personality, but I loved this one because it looked past our tendencies and helped us understand what drives us to succeed – and why we get frustrated in our pursuits. This assessment really pegged me. There were a few key motivations that came to light but one really caught my eye. As I work, interact, and even play – I’m always looking to improve in some way. I don’t feel like it’s an obsessive trait, but it is definitely something that motivates – and frustrates if the opportunity to improve is lacking. I think back to some of my past jobs where I experienced a lot of frustration. Usually it wasn’t the job. It was the lack of opportunity to make things better. This is why I love my job now. 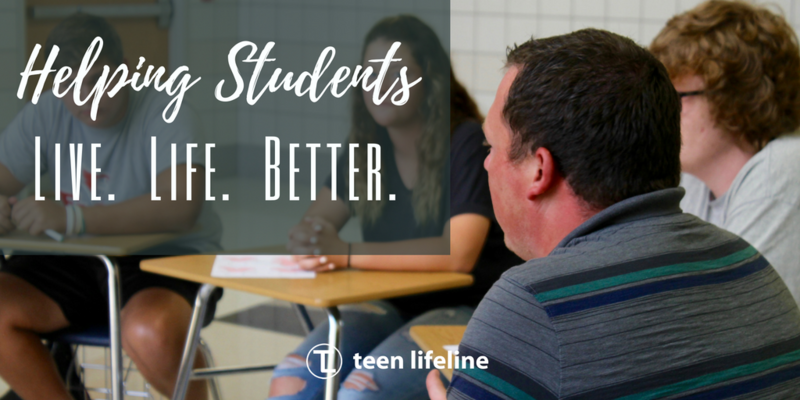 At Teen Lifeline, I am called to not only create, maintain, and evaluate our programs, but I get to call adults into the public schools to help teenagers do the same. Our support groups give students the opportunity to improve their lives through small changes that can make a huge impact. In our support groups, teenagers from every walk of life, faith, and background are welcomed into a support group to find community and acceptance in a way that is totally new for many of our students. They get to take a few small minutes each week to reflect on where life has taken them to this point, but more importantly – how they can move forward and make things better. Our students need more adults with empathetic ears who will sit and listen – and not correct. Our groups provide an avenue for this to happen. So why am I writing about our groups this week? Today is the official kick off of our 2016-17 support groups! We are thrilled to engage our local students across multiple school districts around our area and to provide more and more opportunities for students to live life better. We are so excited to do this. We are thrilled to help improve the students we serve, the adults who serve them, and ourselves in the process. Have you considered leading a support group at a public school? You can. Go to this link to find out more!